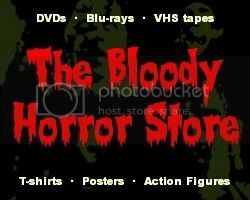 Dr Blood's Video Vault: I have a Dashboard Zombie! 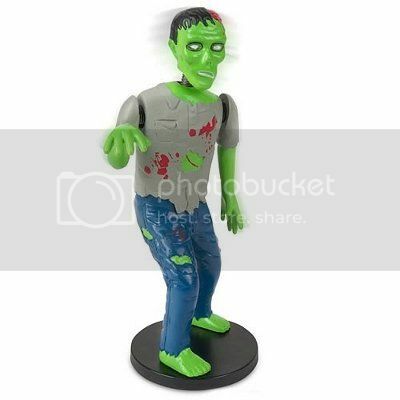 I have a Dashboard Zombie! 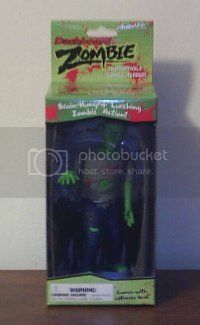 I don't have many horror toys, but I have now acquired my very own "Dashboard Zombie". I'm not sure what I'm going to do with him (as his intended use is much too obvious) or if I will even take him out of the box. My LCD monitor isn't deep enough for him to stand on so he may simply end up "living" on top of my DVD shelves. I tried to take a photograph (on the right) but, as usual, it didn't come out very well. The big picture (above) came from one of my affiliates. Apparently, these are really popular and are out of stock nearly everywhere online. This one cost $6.50 and came from Hot Topic. They should still have them in their stores in case you want one for yourself.